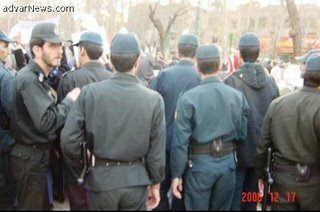 This is 8th March in Iran. 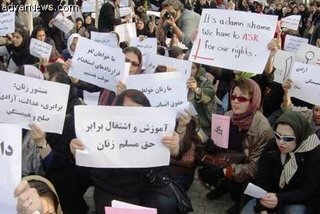 Less than a 1000 Iranian women have gathered in Laleh Park, holding placards asking for basic rights. Completely peaceful demonstration, what threat can they possibly be to the Islamic establishment? Yet look at the number of Law Enforcement Forces surrounding them. Soon the Baseej thugs, are about to turn up and attack the defenceless women. 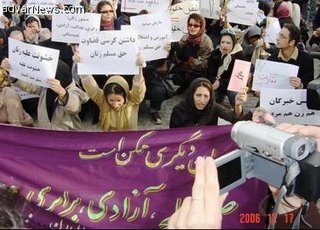 Some lecturers in British universities, like Elaheh Rostami Povi of SOAS, however, think Iranian women have more rights in Iran now than before the revolution!! !